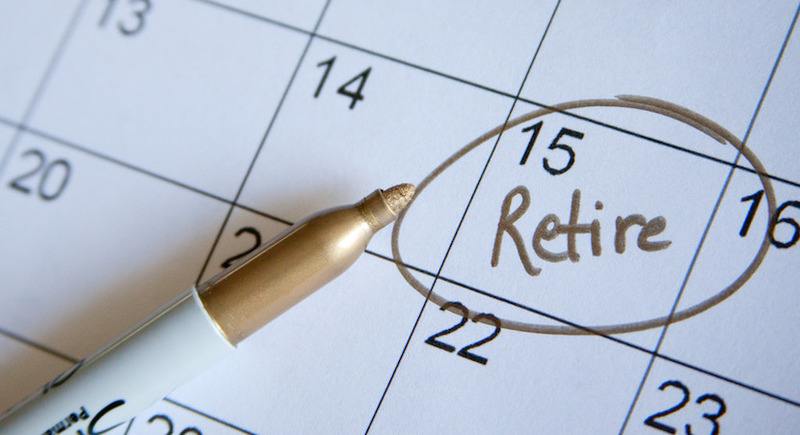 Imagine working as long as you possibly can, or until your maximum retirement age, to ensure you have sufficient funds for your Retirement, only to die within two years of retiring? An actuarial study conducted on some of the larger US Pension Funds including Boeing Aerospace, indicates that employees who retired at the age of 65, died within two years of retirement. Dr Ephrem (Siao Chung) Cheng provided the results from an Actuarial Study on the correlation between Retirement Age and Longevity. The studies were based on the number of Pension Fund cheques sent to Boeing retirees. The Boeing experience was that employees retiring at age 65 received pension cheques for 18 months, on average, prior to death. A similar experience was discovered at Lockheed Martin, where on average, employees received pension cheques for just 17 months. Apparently the experiences at Ford Motor Company and Bell Labs were similar to those of Boeing and Lockheed. Statistics at a pre-retirement seminar illustrated that the average age of retirement at most large corporations in the US was 57. So people retiring at age 65 are a minority, but it is still a startling statistic. The thought is that the hard working late retirees (65) are more than likely putting too much stress on their ageing bodies and minds and due to the stress, they develop a variety of health problems. The associated stress induced health problems lead to them dying within two years of retirement. Another startling statistic from the same Corporations is that those who retire earlier, say age 55, tend to enjoy their retirement on average for more than 25 years. The chances are that those able to retire earlier have less stress, have planned and managed their lives better, with respect to finances, health and career and are able to retire comfortably. One important observation is that these younger retirees (55) aren’t necessarily idle in retirement, but they are far less stressed than their working counterparts from age 55 to 65. This means they may be busying themselves with part time work, hobbies and things they enjoy doing, so much so that ‘work’ becomes fun and is done at a more leisurely pace. People should plan their careers and their finances, enabling them to retire, or at the very least be financially independent, as early as possible. This will ensure they are able to enjoy a longer, happier and more leisurely retirement to age 80 and beyond. Don’t switch off and be idle when you retire. You can still do things that are of interest to you, or you can get involved in things that are of value to your community, all at a pace you feel comfortable with. The flipside of the coin is that you may have to keep on working very hard and under stress, till age 65, before you retire. In that case and if the actuarial studies of some of the world’s largest Corporations hold true, then the chances are that you would probably die within a few years of retirement. In a nutshell, by putting in 10 more ‘hard’ years, after the age of 55, you could potentially forfeit 20 years of your Retirement. Or saying it differently, for every year you work beyond the age of 55, on average one forfeits two years of life span. Alec Riddle was recognised by the industry as an authority on Financial Planning, when he was crowned the FPI/Personal Finance Financial Planner of the year for 2009/10, after being named a finalist in 2008. Has a BA degree, majoring in Mathematics, from the University of Port Elizabeth, successfully completing his Post Graduate Diploma in Financial Planning in 2005 through the University of Free State and became a Certified Financial Planner. In addition to being awarded SA colours in 3 sporting disciplines, he also coached numerous national champions and Olympians and qualified for the World Iron Man Champs in 2011/12 and was World Champion in his age category in 2011. Read more of Alec’s writing by clicking here.